Director Of school Education Telangana Hyderabad Issued Proceeding No.44/PS2-2/2018 Dated:11-07-2018 to Engage 16781 Vidya Volunteers For the academic year 2018-19 with the Honororium of Rs.12,000/- Per month. 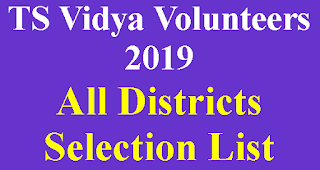 TS Vidya Volunteers 2018-19 Online Applications @ cdse.telangana.gov.in. 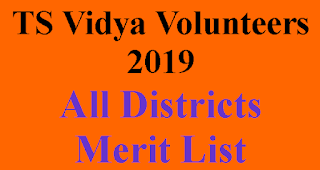 Online Applications Started from 13-07-2018 and Last Date of Online Applications is 16-07-2018.After Verification Process Merit List of TS Vidya Volunteers Will be disply on DEO Sites and also Communicated To MEOs of All District. 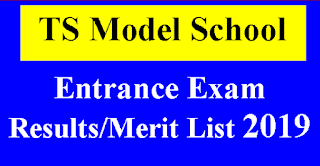 Then after Final Selection List will be display as per schedule. 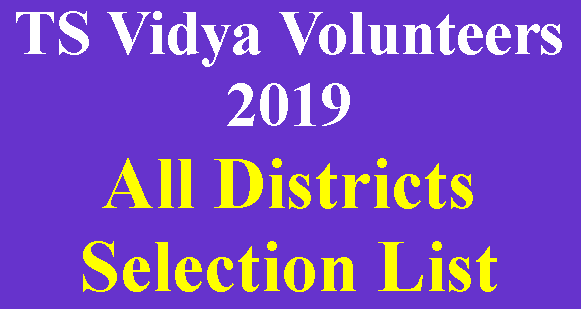 Selected VVs have to join their Duties from 20-07-2018.